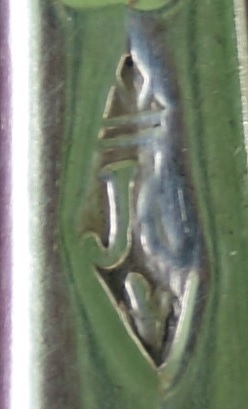 The date letter is worn, but appears to be 1768. The maker's mark is contained within a lozenge, thus this is almost certainly that of a widow. A strong candidate for the maker may be the widow of Paul Callard, the former Judith Labbee (L'abbe), (see: viewtopic.php?f=74&t=25274&p=91619&hilit=callard#p91619 ). 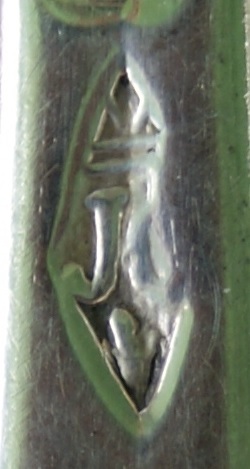 Callard, a known spoonmaker, died in 1768 which would fit in nicely with the date of this spoon.